We must build a lasting legacy for our children. 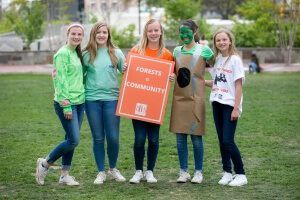 Together we will push back the industries that threaten our forests, and over the coming decades, we will secure the protection of millions of acres across the South, protection that values the clean air and water, climate stabilization, flood control and wildlife that standing, living forests provide. 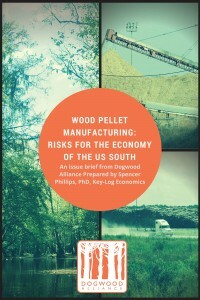 Our new report “Wood Pellet Manufacturing: Risks for the Economy of the US South” sheds much needed light on the economic downsides of this rapidly expanding new industry. The bottom line? The wood pellet export market is simply not a very smart 21st Century economic development strategy for our Southern rural communities. We can and must do better to support the economic well-being of the South’s rural communities. 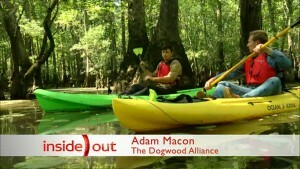 A month ago, Dogwood hosted a reporter from the BBC, and on September 22nd, the story aired. Millions of people saw the massive scale destruction of our forests all in the name of meeting the UK’s renewable energy demands. The BBC showed the other side of the climate story, revealing that there’s huge concern about the efficiency and sustainability of using wood for fuel.